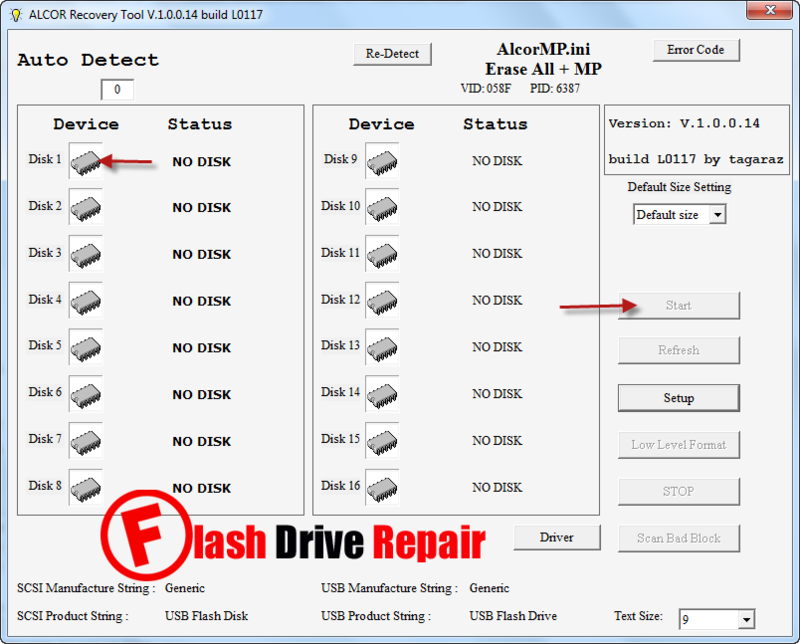 Format corrupted Alcor Flash drives that have format errors .Download AlcorMP AU698x RT v1.0.0.14 L0117 and repair the following alcor chip controllers "6980/6981, 6982, 6983, 6984/6987, 6986, 6986T, 6990, 6990T, 6998, 6998N " . 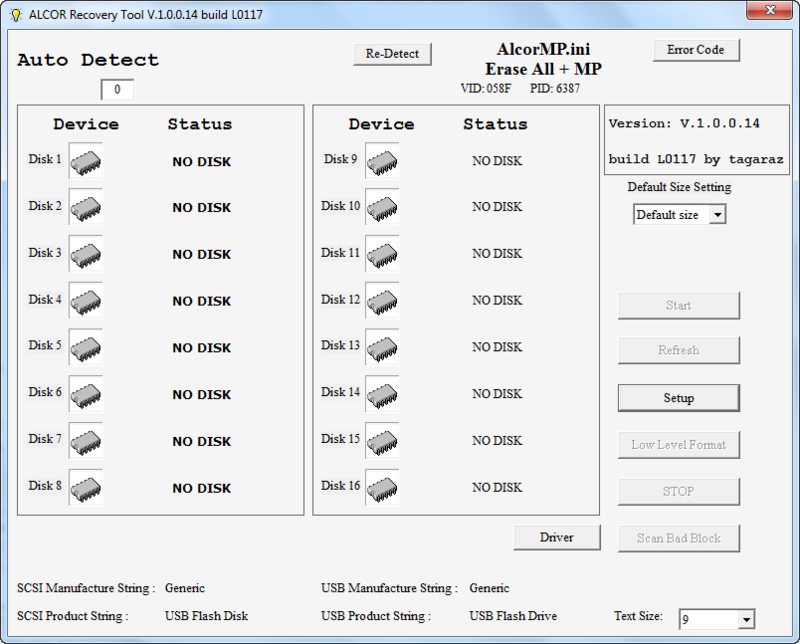 AlcorMP AU698x RT v1.0.0.14 L0117 has been designed to format Alcor chip controller that have format errors or firmware problems .Alcor Recovery tool v1.0.0.14 build L0117 Support repairing and reformatting the following Alcor chip controllers "Alcor 6980/6981, Alcor 6982, Alcor 6983, Alcor 6984/6987,Alcor 6986,Alcor 6986T, Alcor 6990, Alcor 6990T,Alcor 6998, Alcor 6998N . AlcorMP AU698x RT v1.0.0.14 L0117 also recovered Toshiba TC58NVG5D2FTA10 USB flash Disk 4GB with Alcor AU6990 controller and Toshiba TC58NVG5D2FTA00 USB flash drive 2GB with Alcor AU6987 .You must determine your flash disk chip vendor first , you can use this software Chipgenius software or USBDeview V2.30 utility. How to update Alcor Chip controllers firmware ? Download AlcorMP AU698x RT v1.0.0.14 L0117.rar from download links below . Insert corrupted Alcor flash drive to your PC . Extract AlcorMP AU698x RT v1.0.0.14 L0117.rar and open AlcorMP.exe . If your flash disk supported , your flash drive information will appears on the program interface . Click Start to begin updating your flash firmware . I get chip number fail. I think that is your memory chip. The other chip is controller. please provide the tool..what if we use ALCOR for sandisk, will it work?? i got " CTL error "